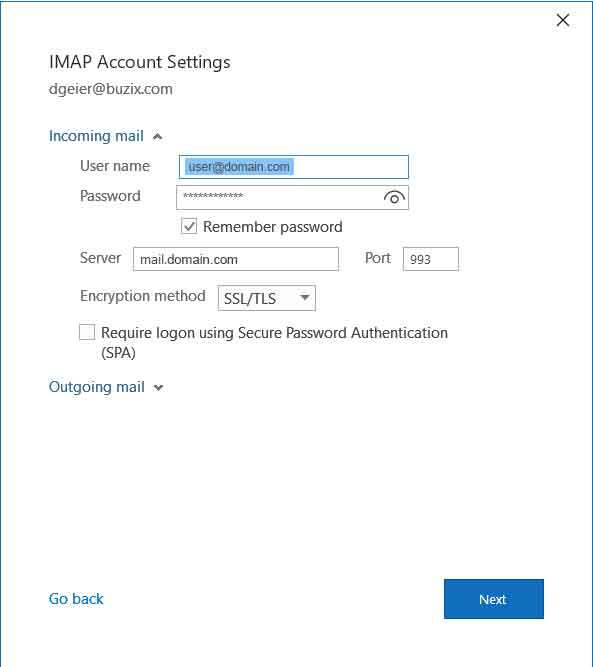 Replace user@domain.com and mail.domain.com with the appropriate mail and domain information. Open Outlook and select "File" in top menu. 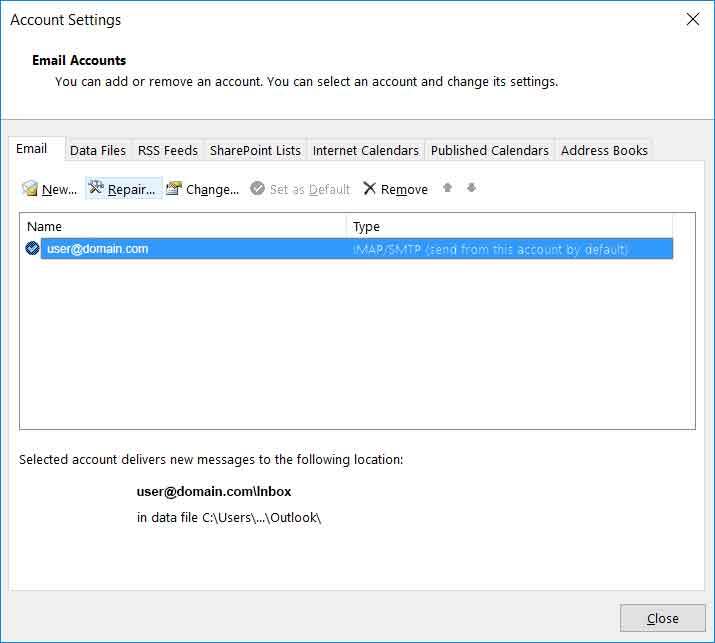 Select "Account Settings" icon and click on "Account Settings." 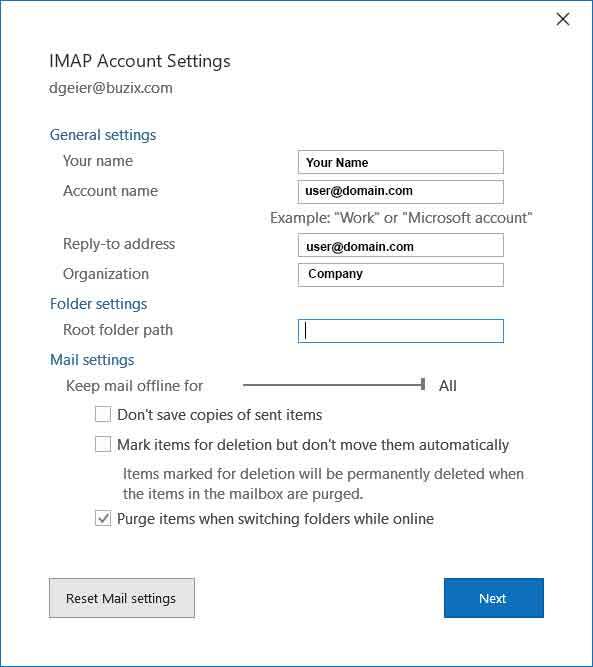 Make sure the "Mail" tab is selected and the email account is selected then click "Repair." 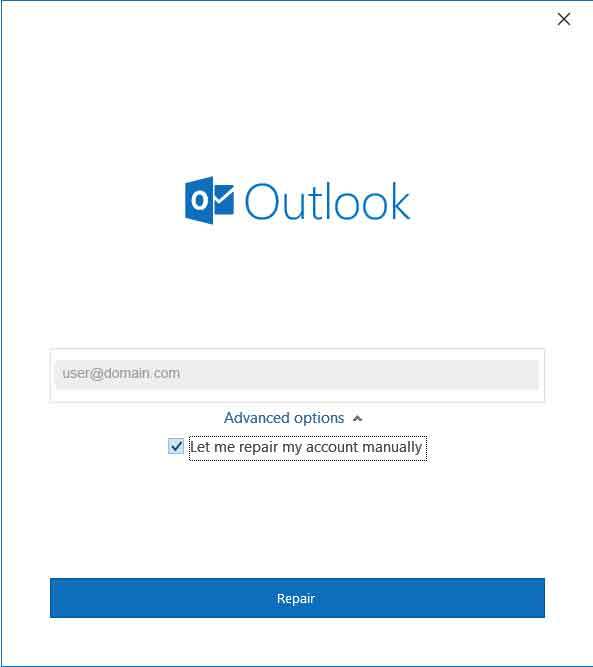 Make sure to select "Let me repair my account manually" and click "Repair." Enter your name, your account name, reply-to address and organization then select "Next." Enter your username, password, server and Port 993. Select SSL/TLS encryption method then select "Next." 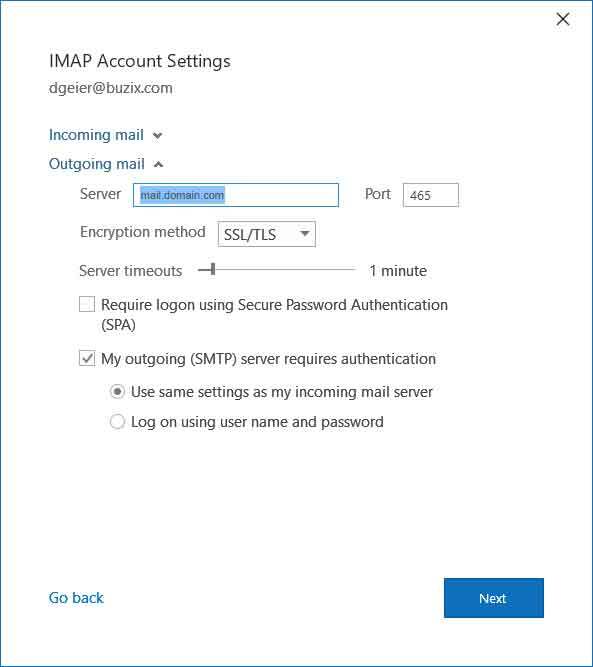 Select "My outgoing server requires authentication"
Select "Use the same settings as your incoming mail server."